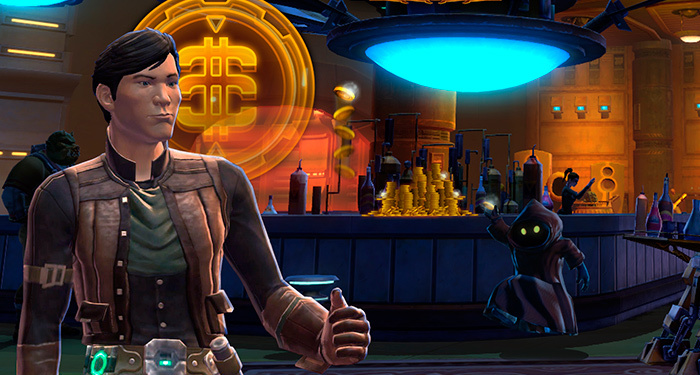 Billions of credits have appeared illegally in SWTOR. The reason was an exploit that was used generously. 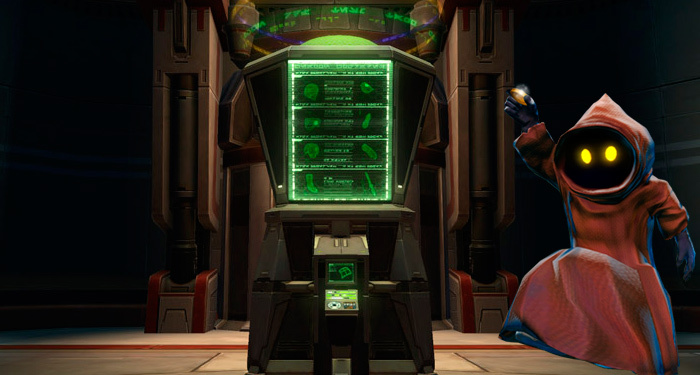 The latest major update, Patch 5.6, has made a serious exploit possible in Star Wars: The Old Republic. Imperial players were able to visit the merchant on the Imperial Fleet and buy purple companion gifts for just a few credits. The problem: players were able to resell the purchased gifts to the same dealer at a much higher price! Thus, anyone who wanted to use this exploit could make millions or even billions of credits within minutes. To make the robbery “perfect”, the money had to be “washed”. As in any good thriller it was spent in the auction house (the global trade network or GTN). The rogues bought all the expensive resources, furniture and weapons. Meanwhile, the basic problem has been resolved and the gifts purchased have a lower resale price than their purchase price. However, the damage has already been done and many billions of additional credits are now in circulation. It also makes it difficult to punish the true scammers, since the credits are now largely a player who quite legal items to the auction house and received their fair price for it. 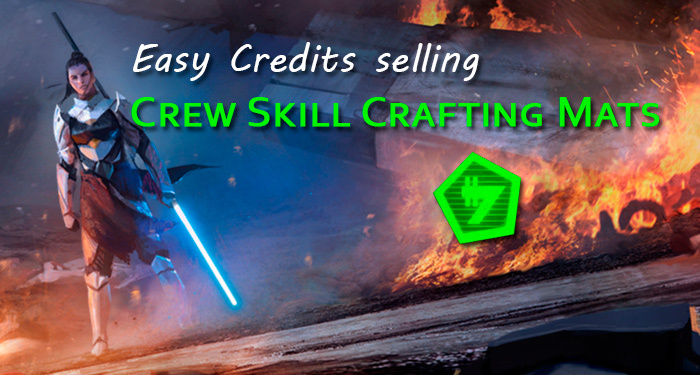 If you take away the crippled credits of other players, they would at least have to get their goods back. Many players demand that BioWare should pull the emergency brake and roll back at least a week to make up for the damage. BioWare itself has already announced in the official forum that investigations against exploiters are still ongoing and that sensitive steps will be taken against accounts that have used this exploit. But this would be an ongoing process. 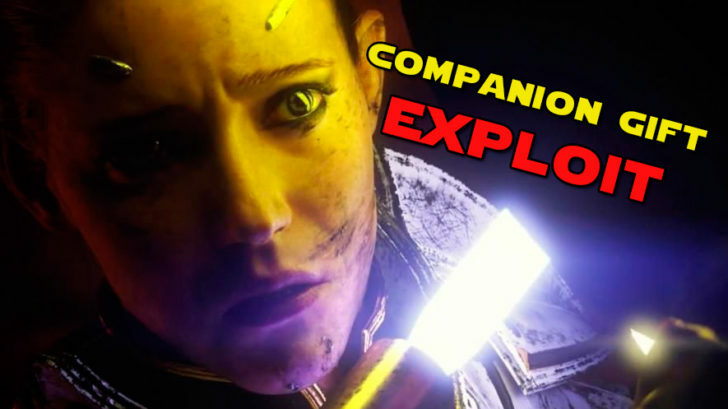 Eric Musco have informed the players, that BioWare is taking action against the wave of companion gift exploiters. It seems that players who had their credits reset as well as all gifts wiped from the account, however, credits and gifts/items (bought with exploit money) in the legacy bank were not wiped. One of them claims that money put in their personal guild bank wasn’t wiped either. Naturally, all are statements off discord or teamspeak so I am taking it with a grain of salt, one of them did post a screenshot of a legacy bank with two billion + multiple hypercrates but no way to know if it was from before or after punishments went out. 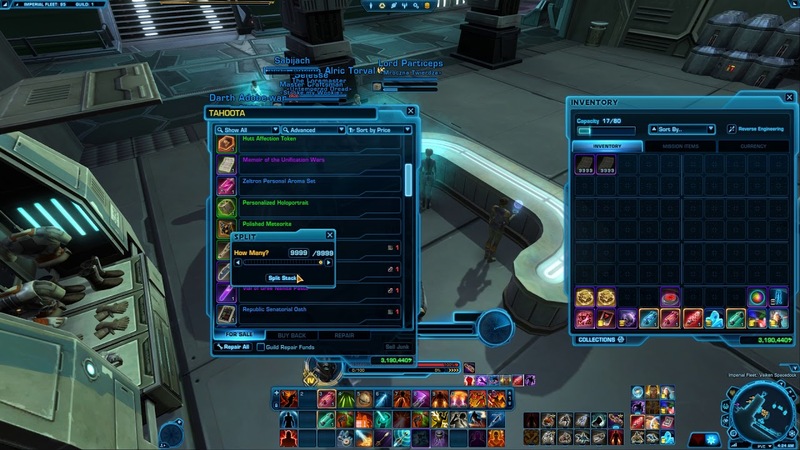 However, based on personal experiance Bioware had a track record of reset credits on characters/removing items from inventory/cargo hold but not looking enough into guilds and legacy banks where you have been able to “hide” items. As there obviously have been some consequences for the exploiters, what do you guys think? Should have Bioware been more strict against these players? Would it have been even possible to be more strict? Let us know in the comment section. So for the Odessen exploit they didn’t wipe out all the legacy cargo holds, now for this Fleet exploit they didn’t wipe out all the legacy cargo holds (+ legacy bank in this case). Again. Looks like a pattern is developing here. Somebody at BW:A doesn’t know legacy cargo holds (+ legacy bank in this case) are a thing, apparently. Well nice to know that some action was taken. Also sounds like they were proceeding very cautiously about not taking away more than they could be sure was bought / done with exploit money. Wonder if there’s some liability related to accidentally doing too much. They must surely know of hiding things in the guild bank. Probably worried of taking away what innocent guildies put in. There was a brief window where they weren’t just cheap, they were free…but still sold back at full price. 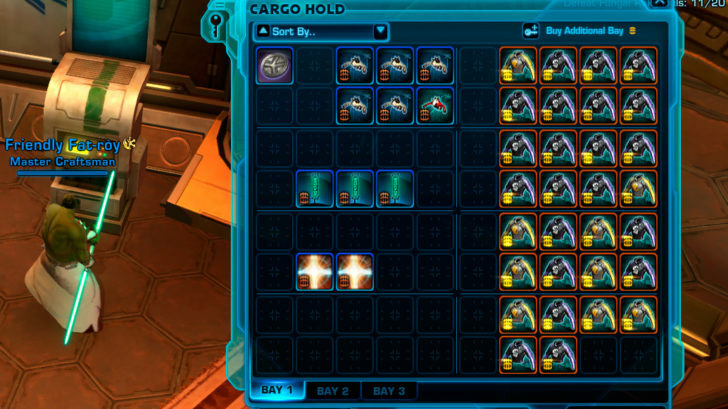 Meaning that people could buy a stack of 9,999 for 0 credits, then immediately sell that stack back to the vendor for close to 10 million credits, in just a matter of seconds. That’s the exploit that they’re “punishing”.